Betty uses clapping to describe rhythm as the pattern into which beats are divided. 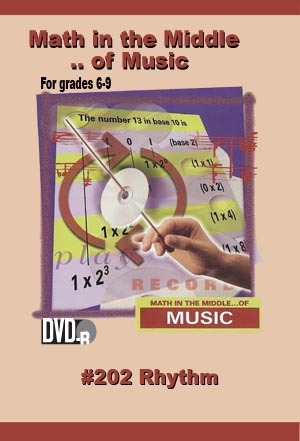 A composer explains how he uses math to divide counts into units, or measures, which allow for easy musical reading. Students will learn to visually identify musical notes and understand their respective mathematical values. •Determine musical note values and time signatures. •Determine how these symbols are based upon a series of ratios between notes.